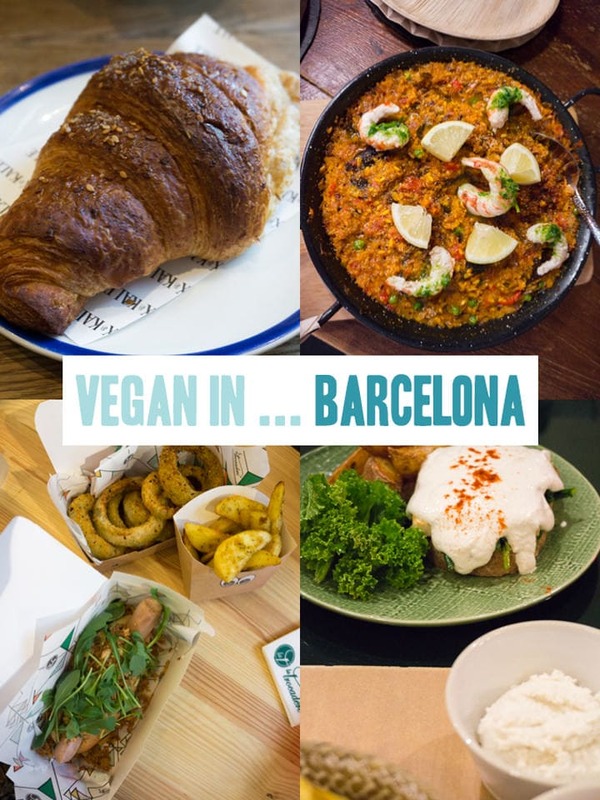 Vegan in … Barcelona but you don’t know what to eat or where to go? Don’t worry! 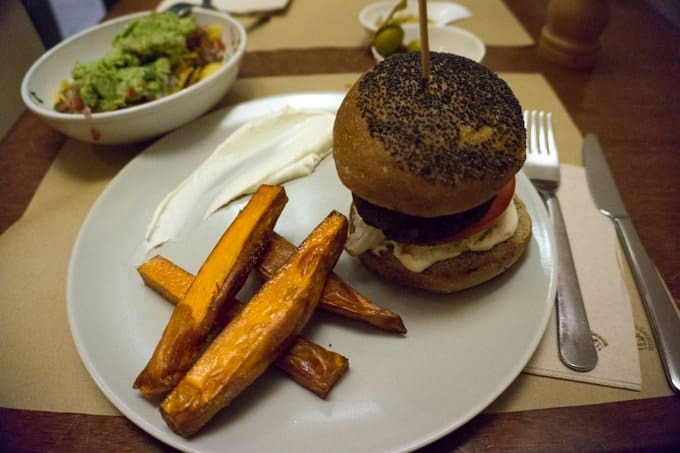 I’m sharing my favorite restaurants with you! Over the end of May and beginning of June we visited Barcelona for a couple of days. 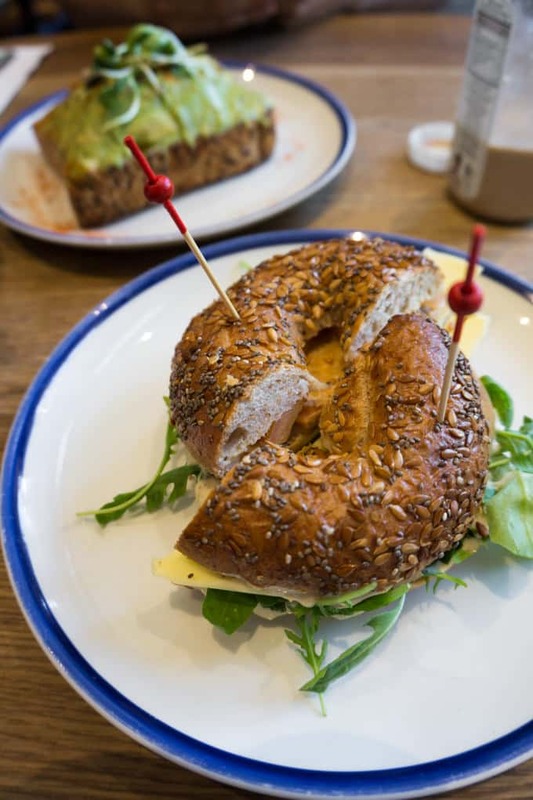 My boyfriend and I went there with three other friends and we chose to stay in an apartment, which was great because not only did we have plenty of room we also had our own kitchen so we were able to enjoy breakfast before heading off to our adventurous days in the city! 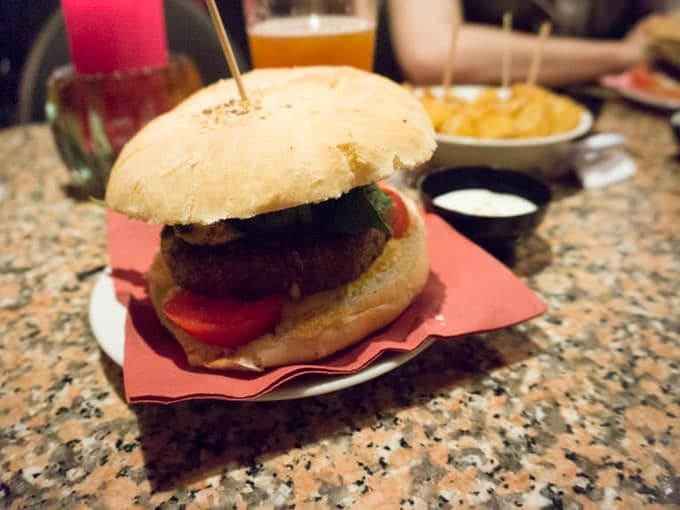 Beforehand I browsed through HappyCow‘s list of vegan restaurants in Barcelona, of course – I always do that (often even before booking the trips because travelling is all about food with me!). In every trip, there’s this one restaurant that totally surprises you. For me, this was Flax & Kale. I LOVED the atmosphere and vibe of the restaurant. I went there for breakfast and while they are not 100% vegan, they have lots of vegan options. 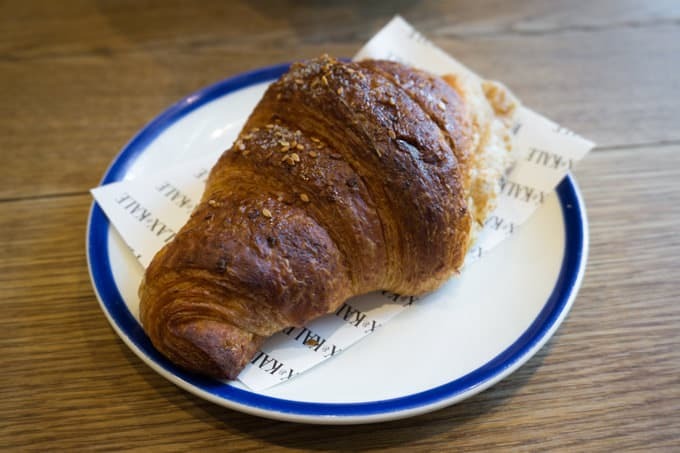 I had a vegan spelt croissant (which I’m still dreaming about – it was perfectly flaky), avocado toast and a chia flax bagel which was filled with cashew cream, tempeh, and vegan cheddar. If you have a chance to go there, do it! It’s amazing! Let’s start with breakfast! 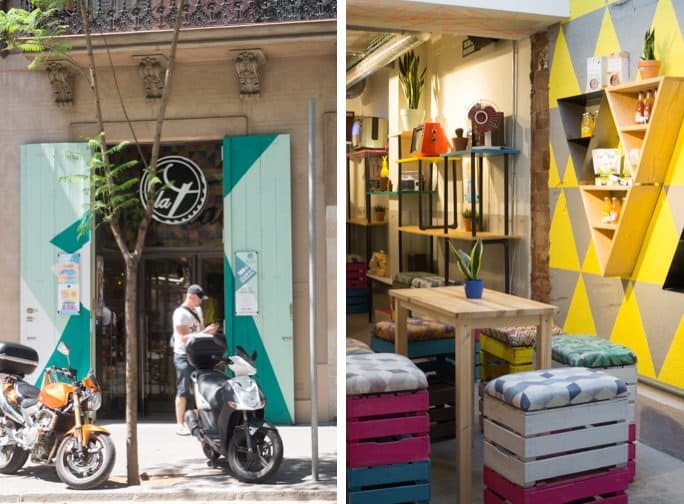 Sopa is a vegetarian café with two locations in Barcelona and they have a few vegan options. 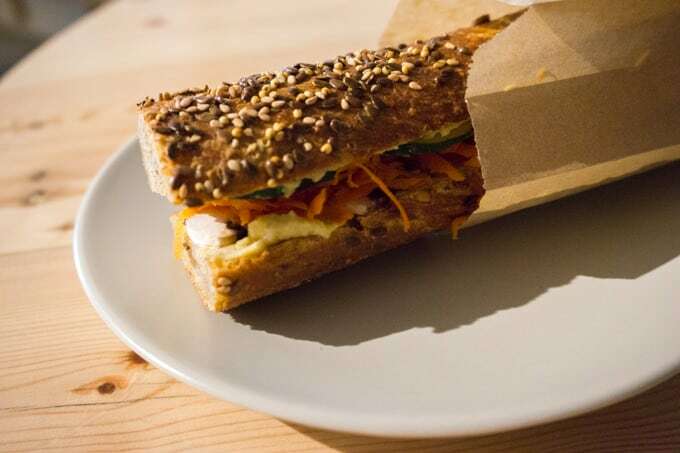 They have vegan cakes, cookies and a few vegan sandwiches on the menu. I opted for the hummus and veggie sandwich in a seedy bread (yumm! ), which was freshly prepared, inexpensive and delicious. 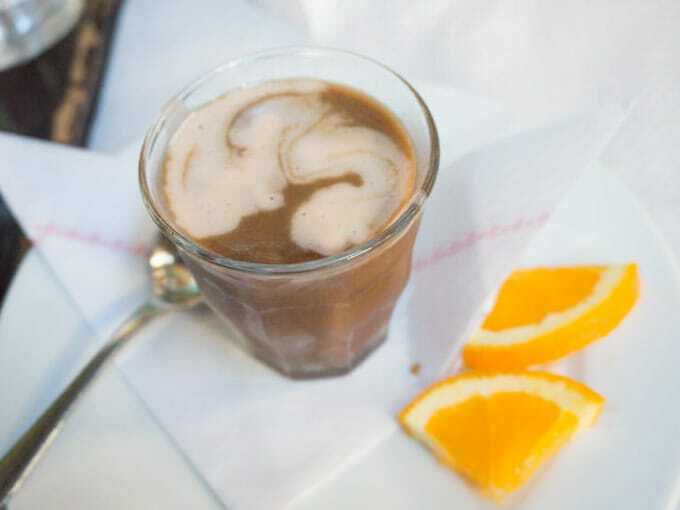 We stumbled upon this café while strolling through the city and I’m so glad we did. We saw that they had vegan eggs benedict on the menu, so of course, we had to check it out! It was delicious! 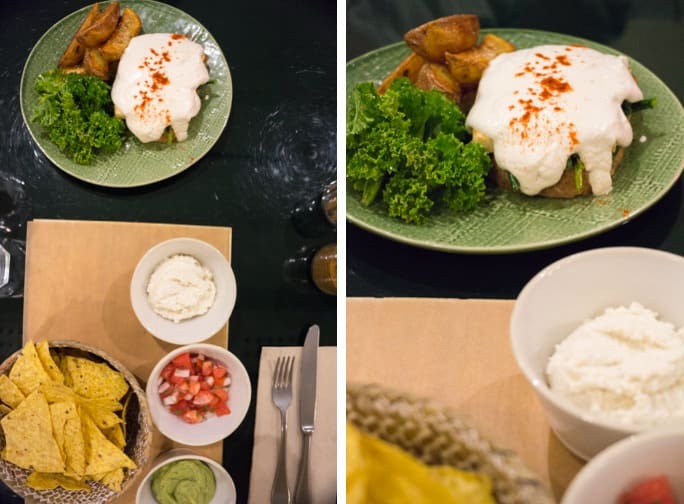 Served with salad and potato wedges, the eggs benedict consisted of a slice of toast, tofu, spinach and topped with white sauce (which I think was almond based – not sure!). We also had nachos with guacamole, salsa, and homemade almond cheese. Everything was so good! 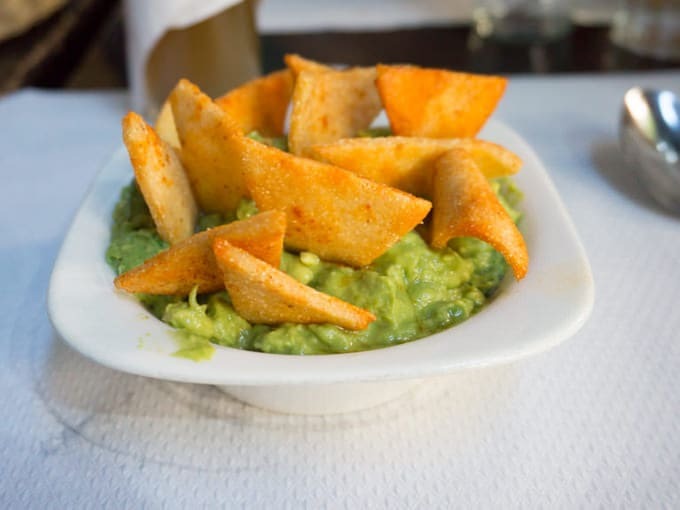 La Trocadero is a hip, completely vegan restaurant. We tried the Hot Dog topped with Guacamole (omg, that sausage was almost too authentic! ), fries and onion rings (that seasoning!! <3) and a Cheese Burger with vegan bacon. I mean, how good does this look? It was one of our favorite meals from the whole trip. 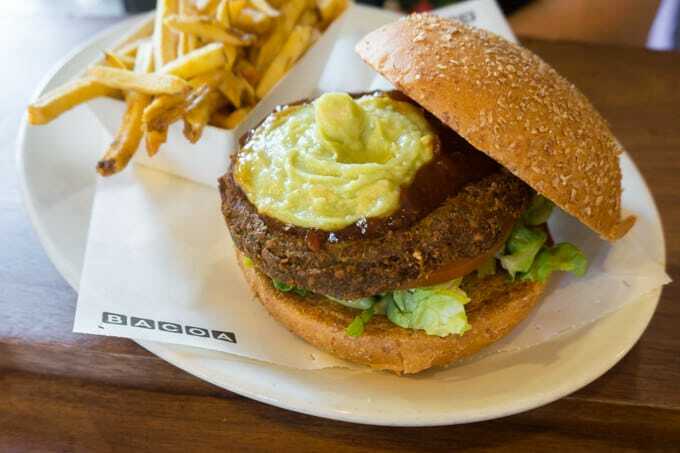 Bacoa is a burger chain with vegan options. 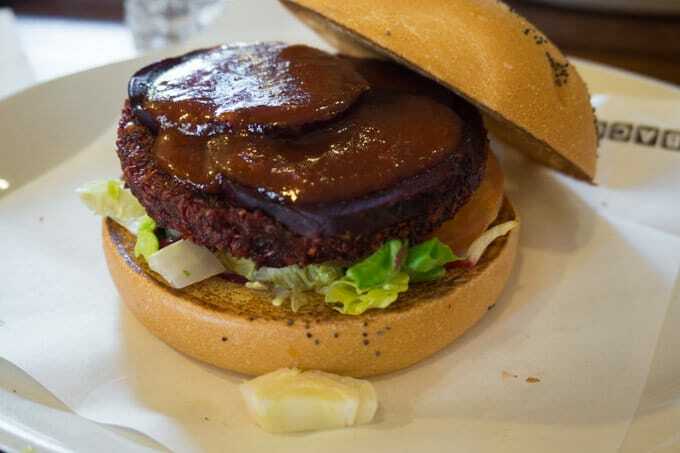 At the time I went there, they had two vegan burgers on the menu: Roast Beet Burger consisting of a beetroot and quinoa patty, grilled beetroot, bbq sauce and homemade vegan aioli and then there’s the Gran Vegano with a chickpea spinach patty, tomato chutney and whipped avocado. We also had thinly cut french fries. Delicious and inexpensive! Vegetalia was for us one of these, walk by, notice, walk in restaurants. 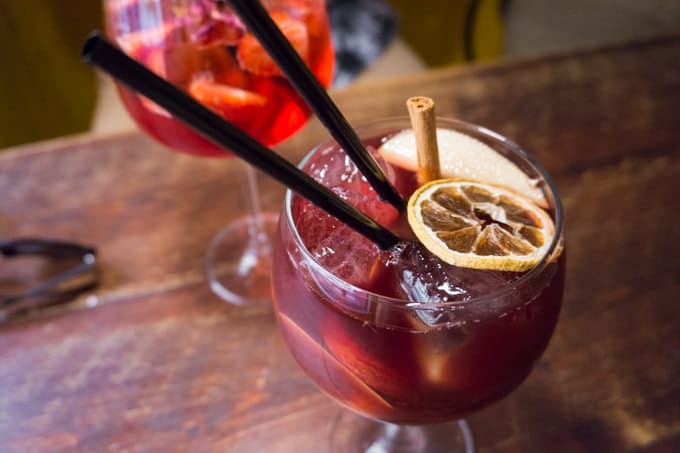 Together with a friend who we’ve met in Barcelona we were looking for something to eat, when we found Vegetalia in the Barri Gòtic (the Gothic Quarter). There was a bit of a wait, so we had another cocktail in a nearby bar, until they had a table ready for us. 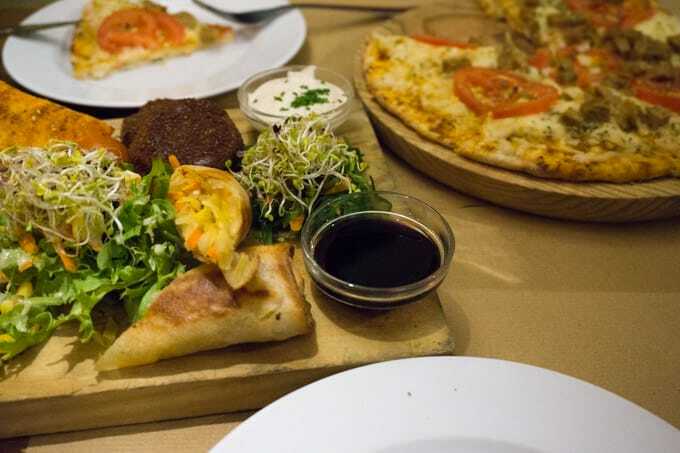 We then ordered the pica pica “Vegetalia” which was a selection of starters consisting of pita bread, spring rolls, hummus, nuggets of tofu and shiitake mushrooms, salads and sauces. And there was a option to make the pizzas vegan, which we did and we shared a pizza with seitan. I really liked the vegan cheese, the pizza was rather small though for 10,50€. La Mezcla is a small pizza place near the Arc de Triomf. 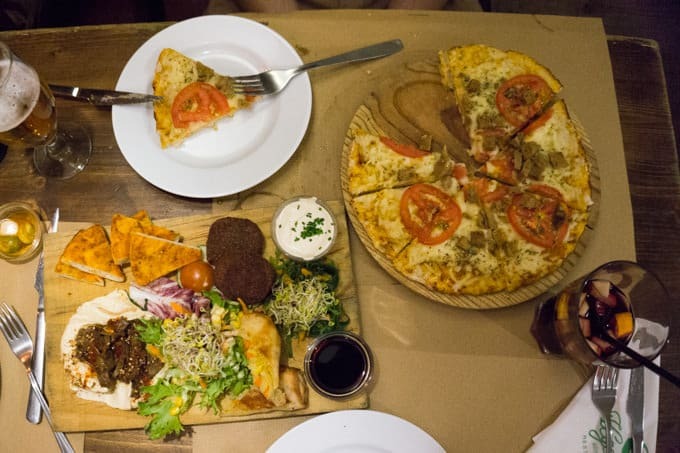 They have a few vegan options – some of which are with vegan cheese. 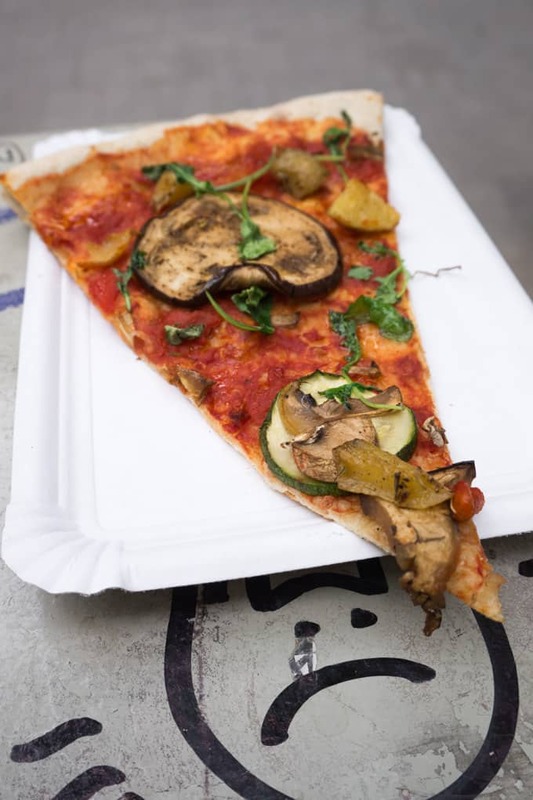 They only had one vegan pizza left – one with veggies and no vegan cheese – when we went there, so took a slice of this one. It was a delicious quick snack for the go. I was so excited to go to the Cat Bar because it got great reviews on HappyCow and I simply loved the name! It’s also 100% vegan and it offers a great selection of craft beers (which we enjoyed). We were lucky to get a table because we had no reservation (I don’t even know if they do take reservations) but the place was packed! It was a rather small bar with limited seating but it had a quite nice atmosphere. 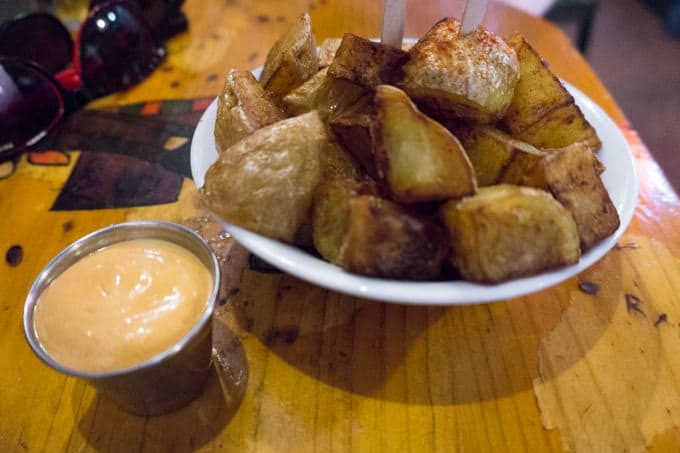 We had fried cubed potatoes as a side with a garlic sauce (oh boy!! that garlic sauce was awesome!). The potatoes were super delicious too! They offered 5 different burgers and a wheat-free option! I chose the “Crazy Burger” which had a nut and seed patty, pesto, rocket salad, fresh spinach, tomato, and red onion. What a great choice – it was truly delicious. I loved the patty and the pesto was the perfect addition. They also had a burger with a veggie patty, one with a hemp patty, a bean patty, and one spicy burger. I also had the chance to try the one with a veggie patty called “Champion” which also had grilled mushrooms in it. It was great as well! 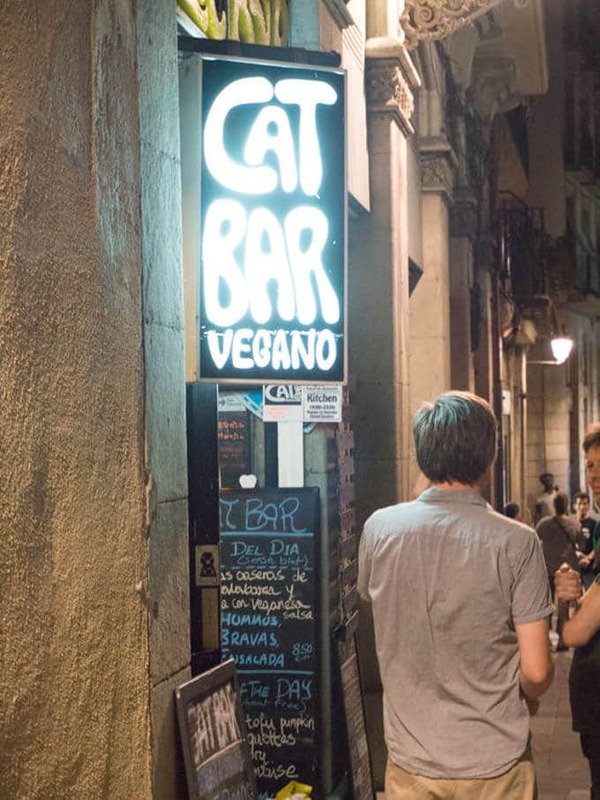 I loved the Cat Bar – it was my favorite vegan restaurant in Barcelona. The burgers were delicious and I miss that garlic sauce already. 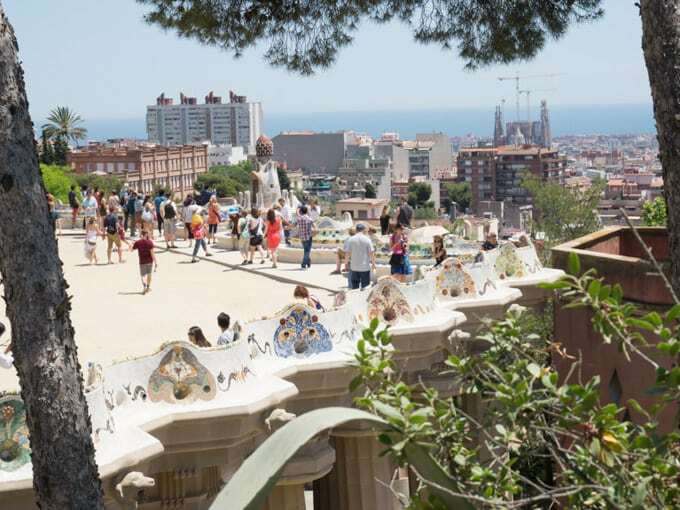 Should you be ever in Barcelona I can highly recommend visiting them! 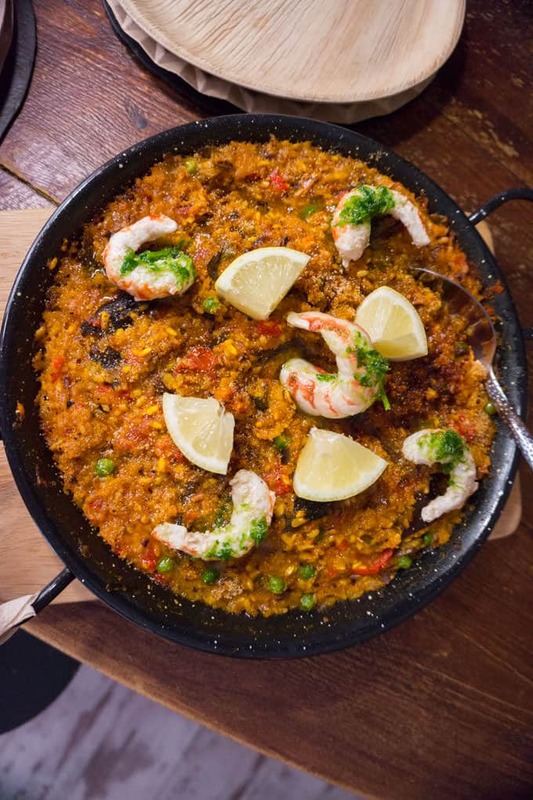 I can recommend visiting the Mercat La Boqueria to anyone! 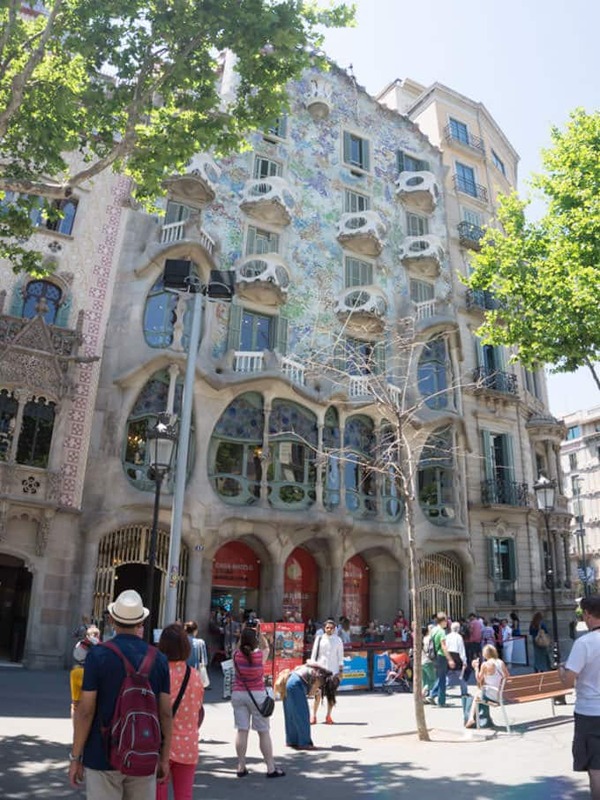 It’s near the metro station Liceu, if you go along La Rambla, you can’t miss it. 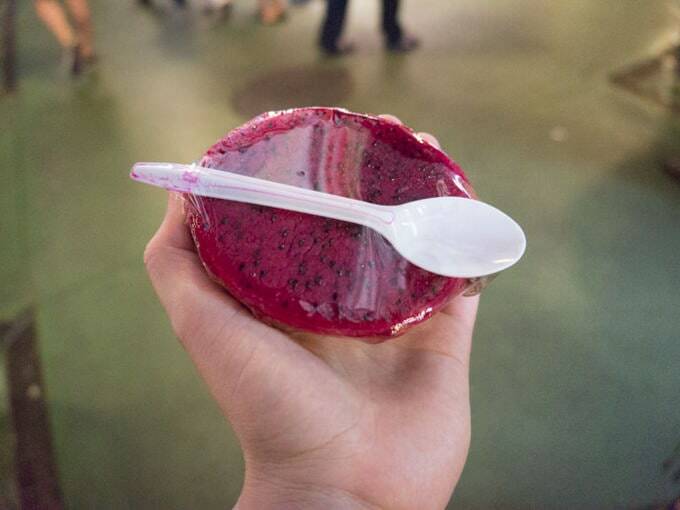 They had a huge selection of fresh fruits some of them ready to eat like this pitaya (that I tried for the first time – not bad, not too exciting :D), young thai coconuts and much more! It’s a vegan’s paradise. 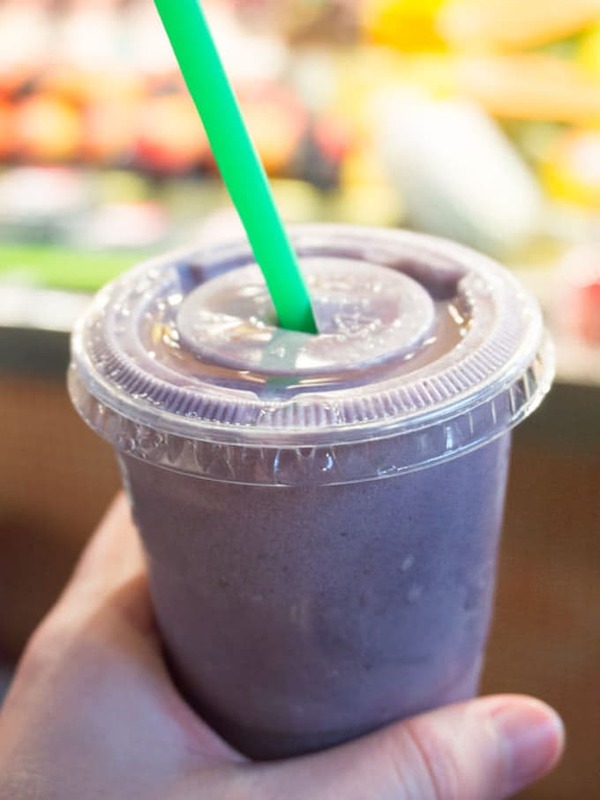 I also had a blackberry-coconut shake at the market, which was delicious too! Veggie Garden was not too far away from the Mercat La Boqueria. Everything they offer is 100% vegan and they have a huge selection of homemade juices and milkshakes. The food ranges from burger to curries, nachos with guacamole, seitan dishes… I chose the menu of the day, which was 8.50€ for a starter, main meal, drink and dessert. Very reasonable priced! 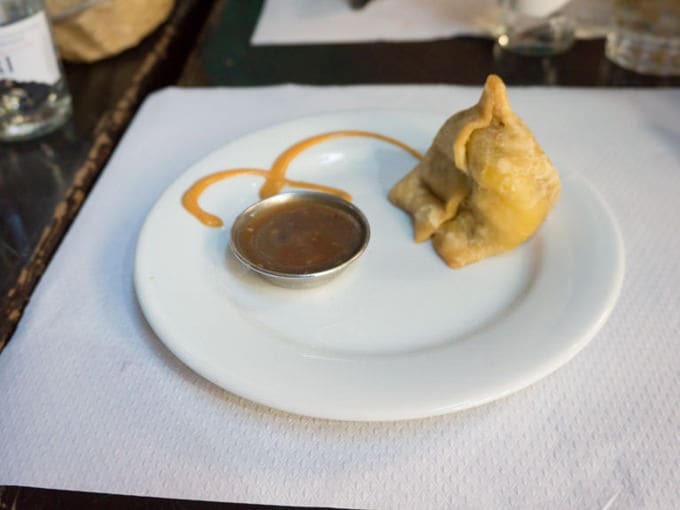 I went for the potato-filled samosa as a starter. It was super delicious and the sweet dip was perfect! 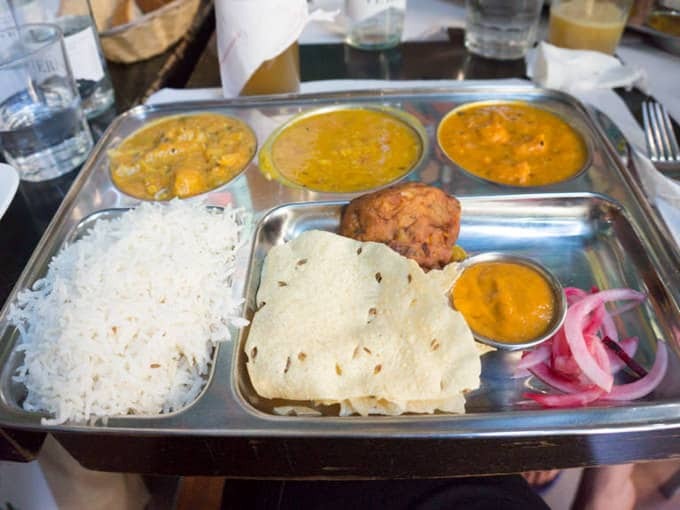 As the main meal, I chose the Thali – which is a huge indian plate consisting of different curries and additional portions of rice, pakora, papadam (the thin bread) and pickled onions. It was so much food, but we already had the idea it could be a lot so I shared it with my boyfriend. The curries were all very good, but the right one was with sweet potatoes and it was my favorite! And I loved that spicy sauce to dip in the pakora. Yummy! For dessert, I went for a chocolate creme that tasted a lot like cinnamon and it was the perfect little treat. My boyfriend and I also shared the Nachos with Guacamole. It was a huge amount of Guacamole and it was very tasty. 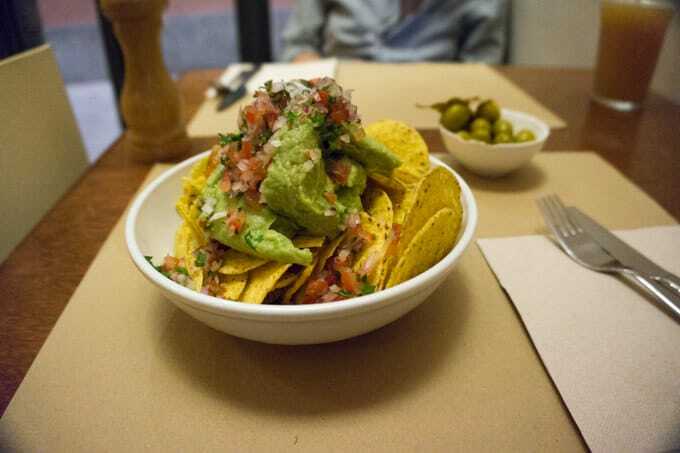 It was the best Guacamole we had in Barcelona! 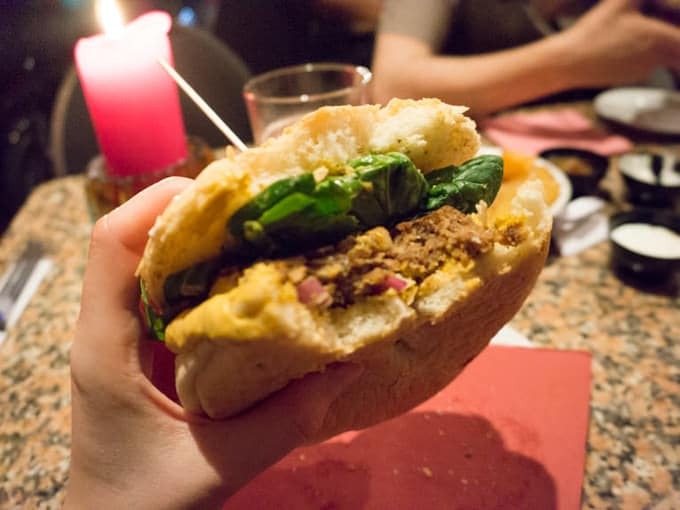 Do you have any additional vegan restaurant tips for Barcelona? I’d love to know in the comments! This is the closest I’ve ever gotten to Barcelona, and wow what great vegan choices! That curry spread and the gorgeous ice pops and of course I love crispy potatoes <3 But the one that really got my mouth watering was that little cup of chocolate/cinnamon creme! OMG :o Spoonable chocolate things are some of my favorite things :) And I totally feel the same way about pitaya, but I do love the convenient little spoon-added packaging :) Everything looks beautiful, both the edible things and the sights! Oh, I’ll try it with lime next time, thank you for the tip! :) Cheers! This was so much fun to read! 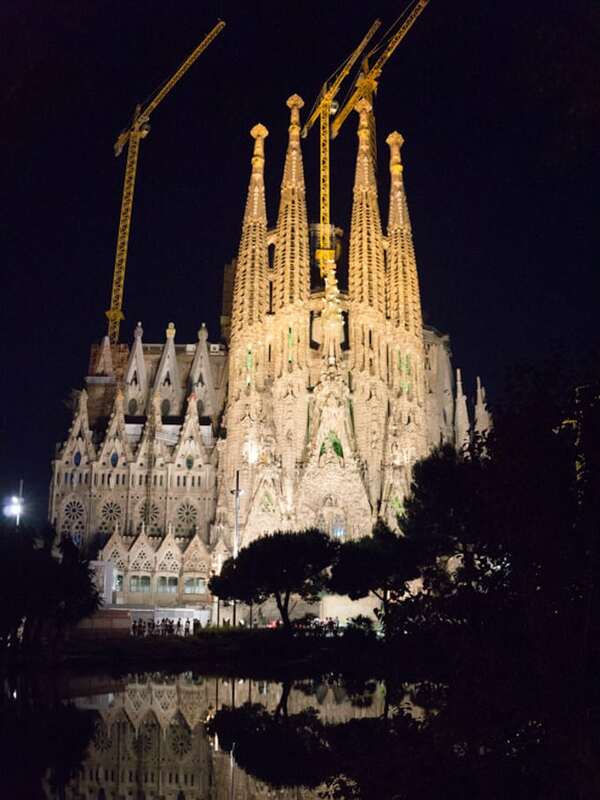 Barcelona is such a beautiful city and I sat here gawking over your photos. Will definitely pin this in case we travel there! Awww, thank you so much Liz! Barcelona had quite a lot to offer! 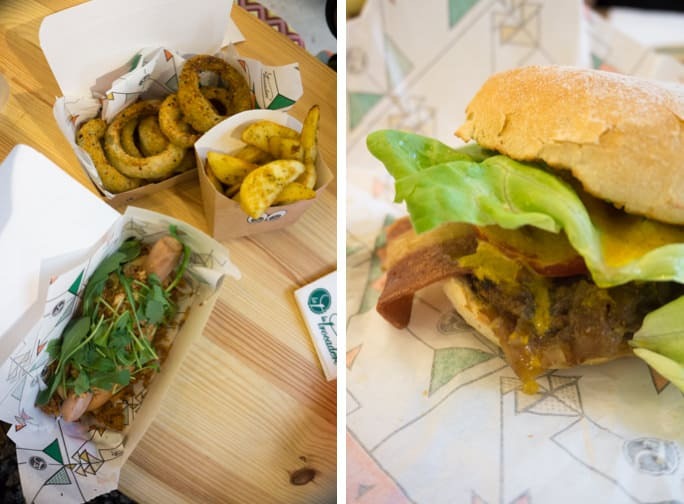 We didn’t even had the chance to visit every vegan restaurant, but I was really happy with the ones we tried. 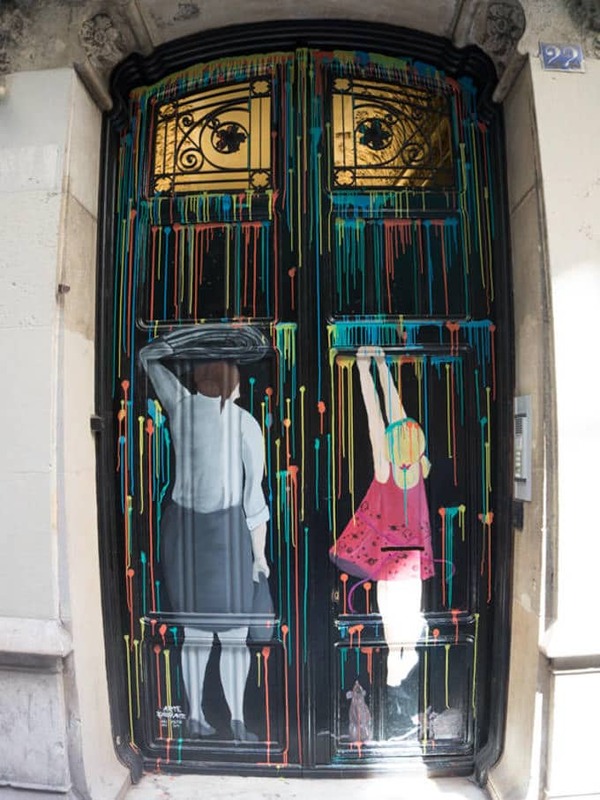 Wow, you definitely found your way around in Bcn! Even though I lived there for 4 years I didn’t know of all those places you mentioned here. 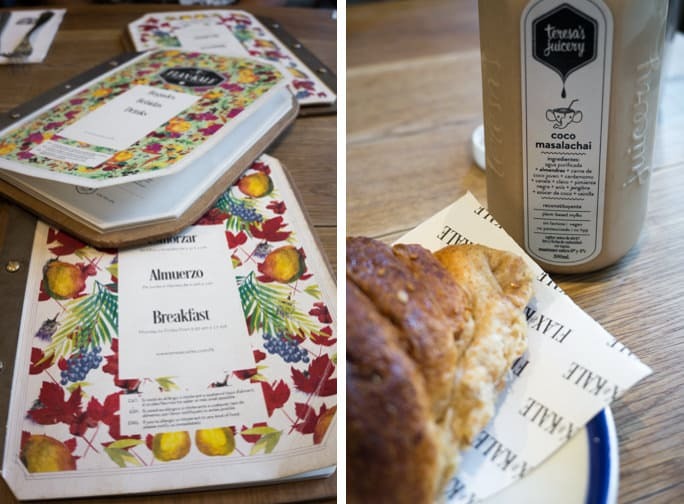 Thank you for the glimpse of Barcelona’s vegetarian restaurants. What a beautiful city! I thought I was the only person in the world who plans my travel around a curiosity about the foods of a place. Your blog’s a fantastic mental break for me & gives me all sorts of ideas about what places I want to visit. These look delicious. 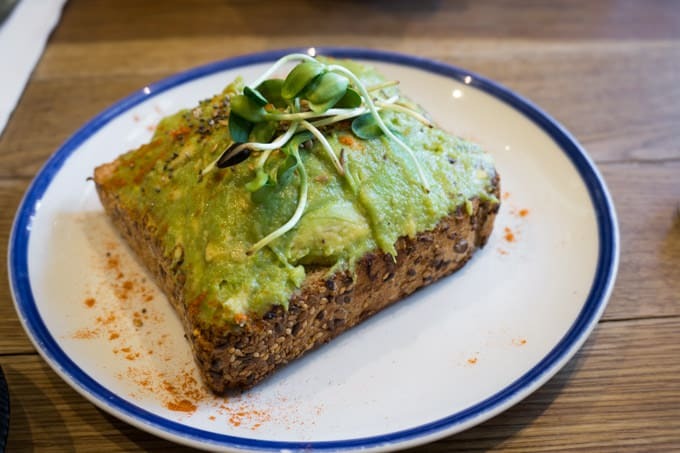 I came across an interesting article about some exciting drool worthy vegan restaurant options on https://www.vegefied.com/top-lists/drool-worthy-vegan-spots-in-barcelona/.